When, at the beginning of the seventeenth century, after having defeated rival clans and gained power over the entire Japanese territory, Tokugawa Ieyasu decided to move its operations center from Kyoto to Edo (then no more than a small fishing village in the anonymous Kanto plain), breaking a long tradition of a thousand years of “Kyoto capital,” nobody, not even the most visionary of the observers at the time, could have imagined that this small village, later renamed Tokyo (literally “Eastern Capital“) would become the huge urban area that is today : the focal point of most of the cultural fads and trends that run through the Japanese archipelago. The capital of Japan is always evolving. This changing trend has its reasons : let’s see if we can understand them. Tokyo, along with the city of Kawasaki and Yokohama, form a single, huge, continuous conurbation of about 18 million inhabitants. It does not have a “rigid” urbanization plan and this leads to a lack of systematic order, in the manner of construction of new buildings; as well as the fact that, periodically, they proceed with the demolition and subsequent reconstruction of the same. In Tokyo, some dichotomies, such as those between “center and periphery,” or between “town and countryside”, are practically non-existent: there is not, in this city, a “center”. 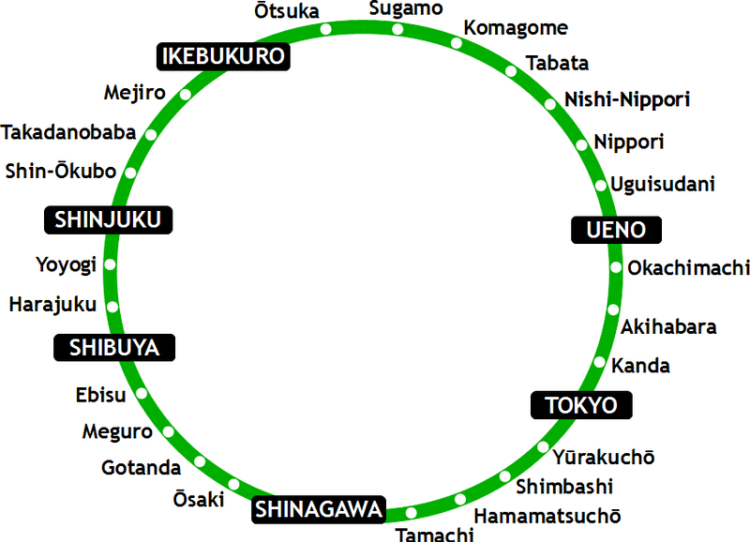 In a broad sense, the “center” of Tokyo can be found in the macro-area included within the ring bounded by the path of the JR Yamanote train line. 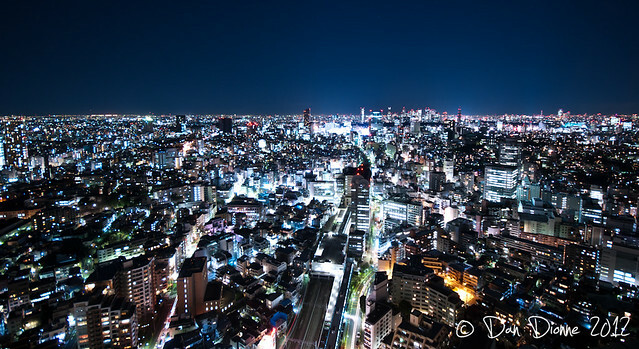 Often people, when they speak of Tokyo, use the words “sprawling metropolis“: this is because, at night, a multitude of light streets, bridges and overpasses give this great city the appearance of a giant octopus with colored tentacles. Even the traditional urban categories of “above ground” and “underground” are flipped : there is practically no difference between the life outside or inside the huge underground stations, as they are often linked to department stores and shopping centers. The large industrial groups have had a huge impact on the topography of the city, and some urban areas, as we know them today, are the result of significant investments made by these great companies. For example, Shibuya is “born” from an agreement between two business giants like Tokyu and Seibu. 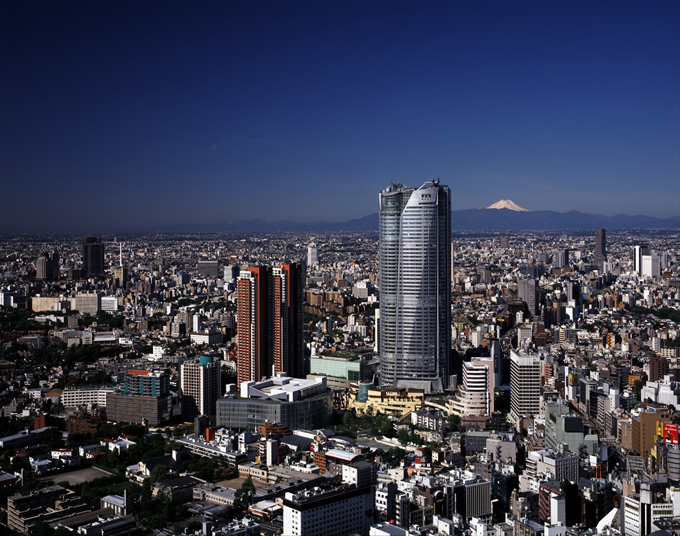 Or else, Roppongi owes its present appearance to the competition between the two groups Mori Building CO., LTD. (which is responsible for the construction of the complex of “Roppongi Hills”) and Mitsui (who financed, however, the design and construction of Tokyo Midtown). The architecture and the aesthetics of the city are imbued with the “spirit” of Wabisabi, which is a concept derived from the Buddhist, according to which nothing lasts, nothing is infinite, nothing is perfect: in virtue of this principle the physiognomy of the city changes often, through the construction of new buildings which are going to supplant older ones. And this a concept exactly the opposite compared to the one of “beauty”, typical of the West, where there is a research of eternity, completeness and perfection (so much so that Western cities, especially the European ones, are adorned with majestic monuments and buildings designed and built to last forever). According to the Far Eastern cultures, however (and the Japanese culture in particular), beauty should never be flaunted, otherwise it becomes vulgar in the first place, and without the observer’s taste for research and discovery of “beauty”, in second place. In Tokyo, examples of this conception of Asian beauty, can be found throughout the city, especially in small, colorful shrines hidden in the narrow alleys, or seen in a majestic flower garden where there seemed to be nothing more than the gray of the buildings and streets. The beauty in the streets of Asian cities, is to be pursued, sought and cultivated.